This entry was posted in Camera control, Equipment, Opinion, Photography, Tips Tutorials & Techniques and tagged Buying equipment, Good tripod, How to Shoot, Professional tripod, Quality, Reasons for using a tripod, Tripod, Tripod head, Tripods. Bookmark the permalink. Thank you Damon for the comprehensive advice. I know from borrowing other people’s equipment that the cheaper variety of tripods have always put me off using one. I am not a fan of tripods, as I like to travel light, but saying that my camera is quite heavy. I do have a monopod which I rarely use. However, when we are shooting images at our camera club, I am beginning to feel as though I am lagging behind and not getting the best shots. I hope owning a tripod will give my photography a new dimension. in fact I might even stage a still life and become creative, watch this space! Excellent. I hope you take on that still life project. You have a great eye and I am sure you will enjoy it. I totally understand and respect your opinion here, Damon. If I were a professional landscape photographer, I would have the very best tripod I could afford. They are great for school portraits also. But I do neither. What I do is shoot from the hip, from all kinds of POVs and although I put a lot of effort into composing, I find that when the camera is mounted on a tripod, my creativity wanes. Also I am a big believer in travelling very light – I recently did a 5 day b&w study of NYC street photography with nothing but a Panasonic LX-3. Of course, tripods are not for everything. Some fast and light work is not suitable for using a tripod. For the photog with developing interests a tripod is an essential element of getting a rounded photographic experience with good results. For most of my work absolute sharpness is important. But, like you, when I do street photography I go hand-held. Photography is great because it allows so many options and experiences! Good advice if you are going to use a tripod often. As for me, I dislike tripods. Find them very limiting. Don’t like lugging them around. Very rarely use one. So I bought a cheap one for the few times I am going to use it and it works just fine with a remote shutter release. I prefer a monopod, which I use rarely, but much still use much more often than a tripod. I have heard comments like this so many times. Most often it is because people really have not tried them out enough to see the benefits. Then, as people develop as photographers, they so often change their minds. I know because I would have agreed with you when I first started. Today I am committed to using tripods because nothing beats the sharpness and control. 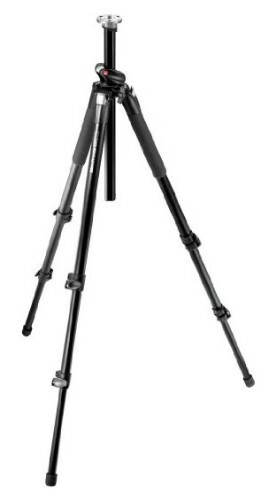 I also know that to buy a good tripod early will save a lot of money and get great results right from the start. If you go cheap – you go wobbly! Nothing beats a good tripod for good results.